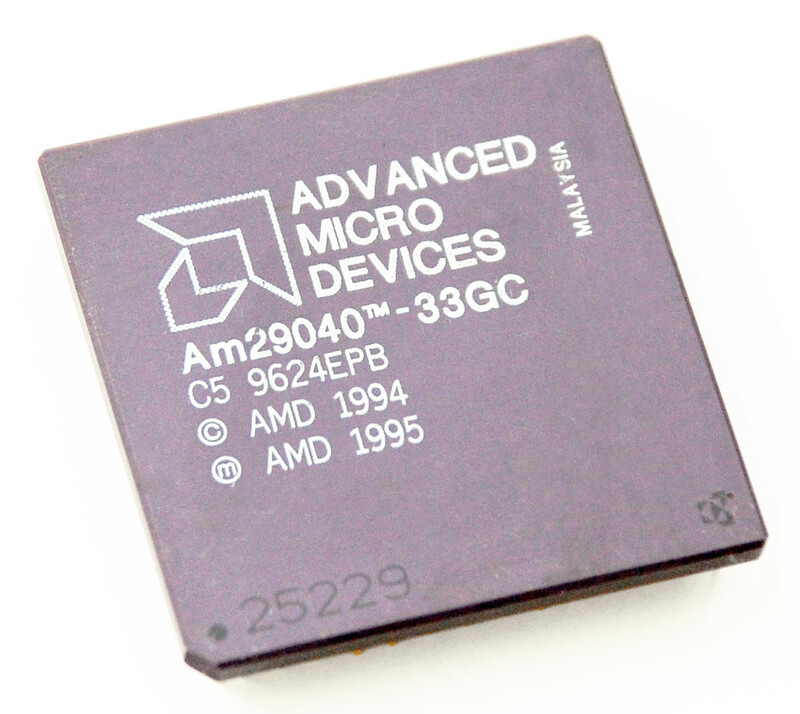 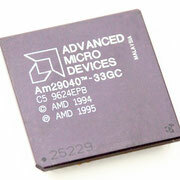 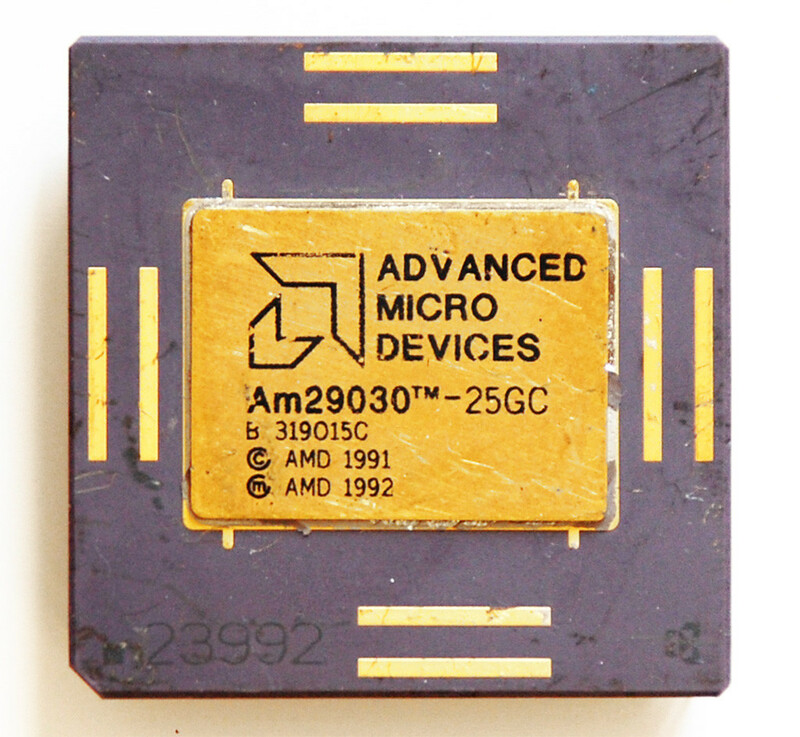 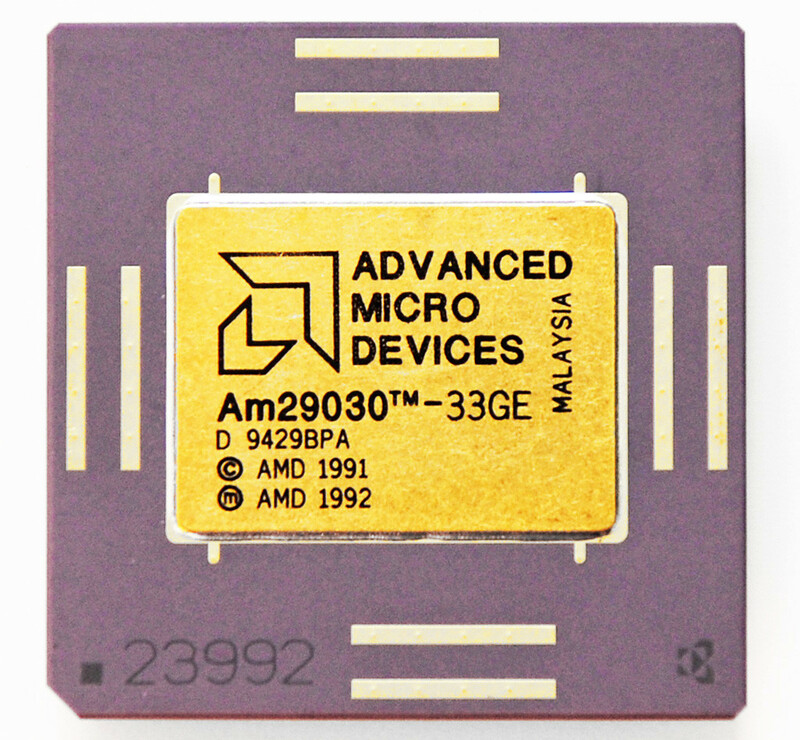 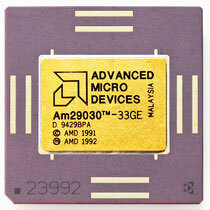 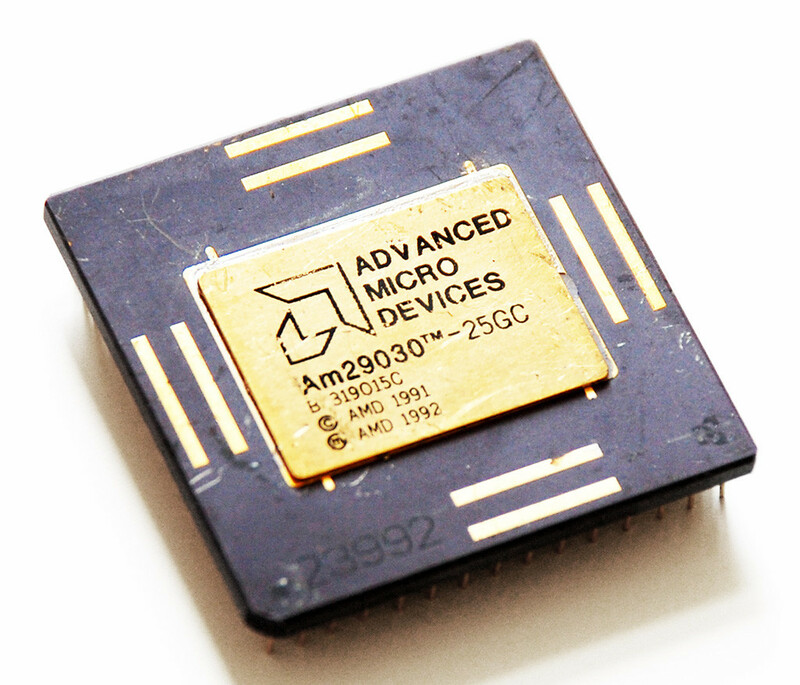 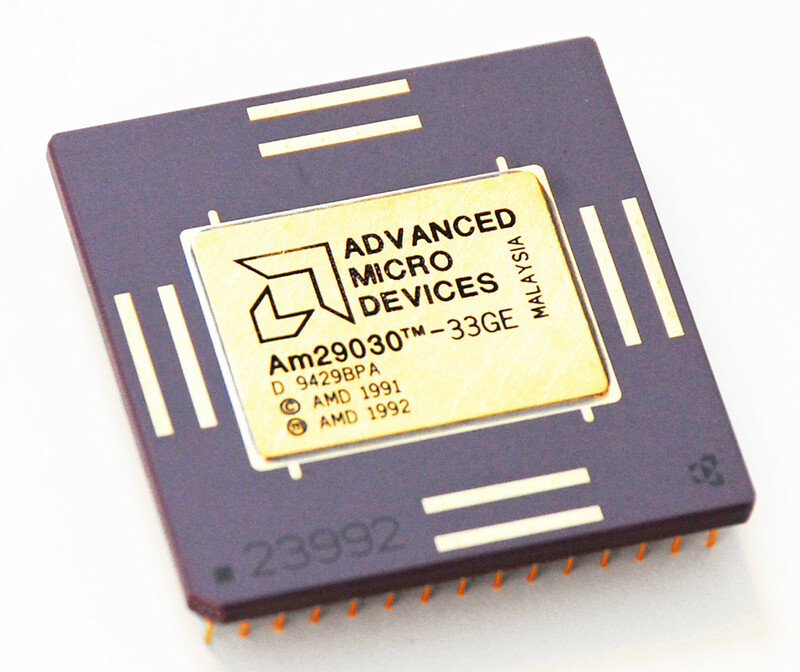 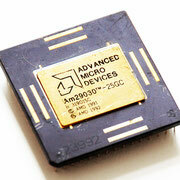 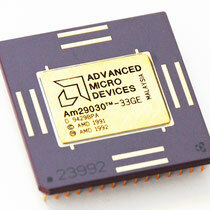 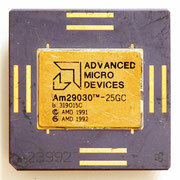 The AMD Am29000, often simply 29k, was a popular family of 32-bit RISC microprocessors and microcontrollers developed and fabricated by AMD. 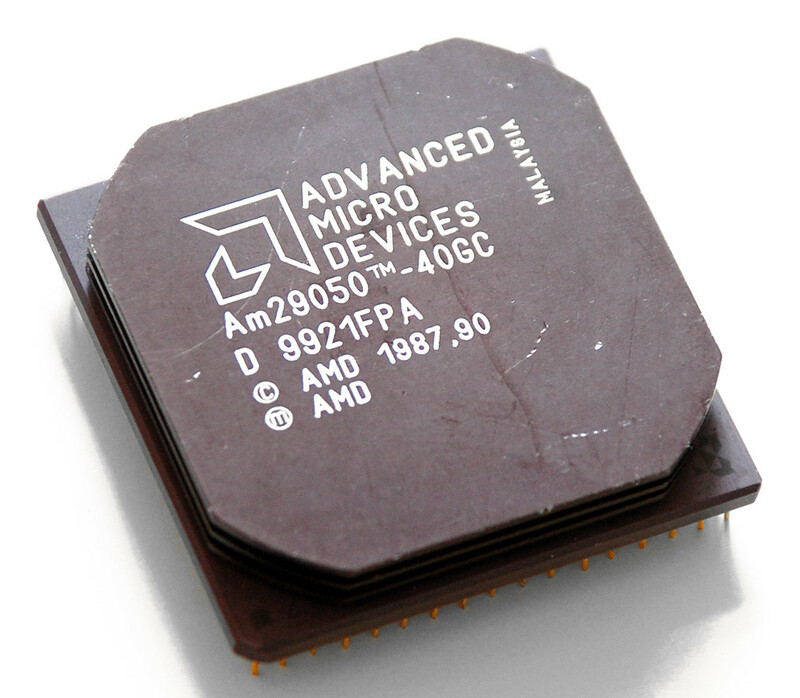 They were, for a time, the most popular RISC chips on the market, widely used in laser printers from a variety of manufacturers. 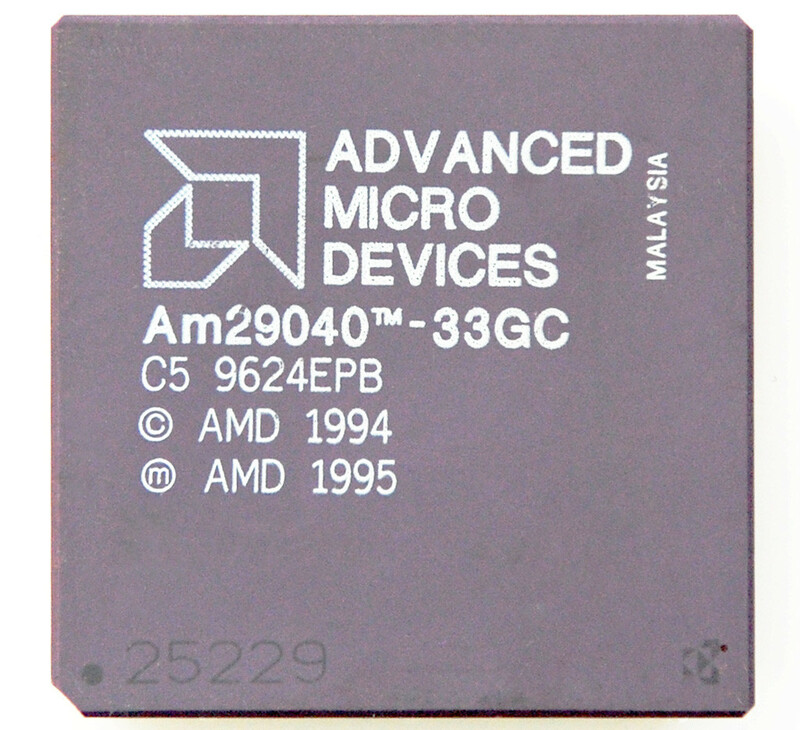 In late 1995 AMD dropped development of the 29k because the design team was transferred to support the PC side of the business. 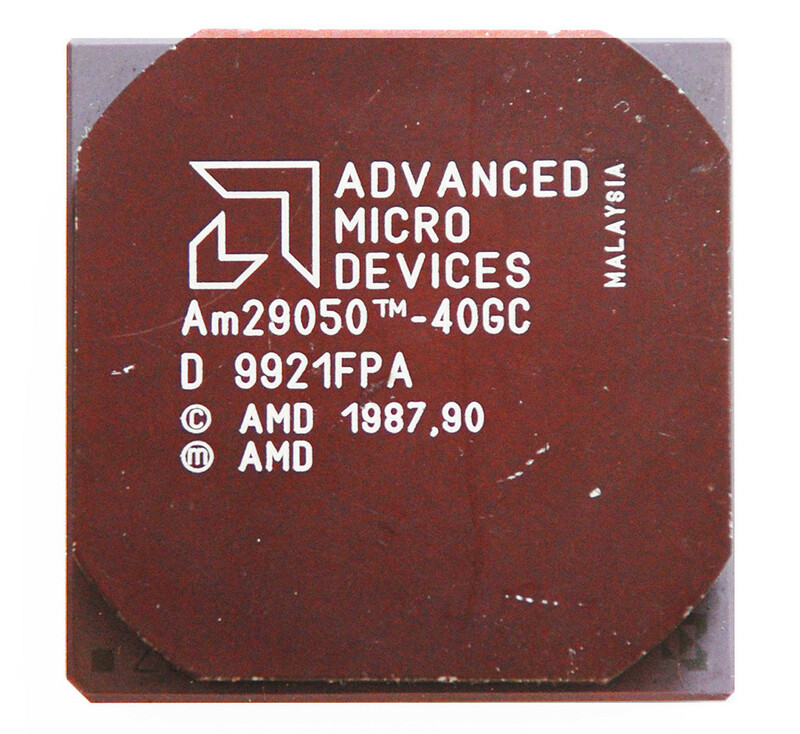 The majority of AMD's resources were then concentrated on their high-performance, desktop x86 clones, using many of the ideas and individual parts of the latest 29k to produce the AMD K5. 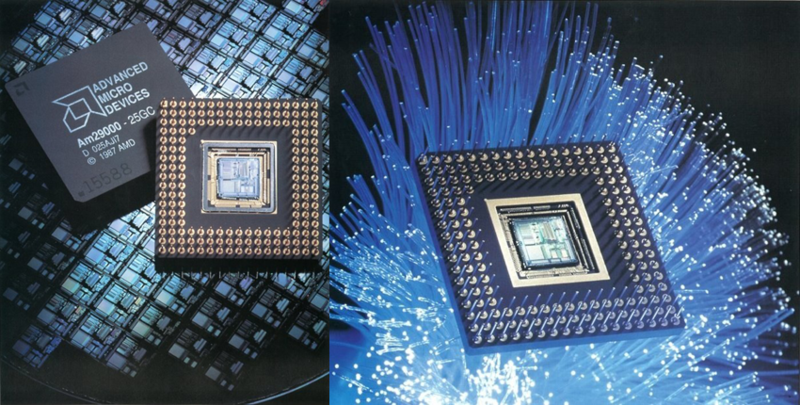 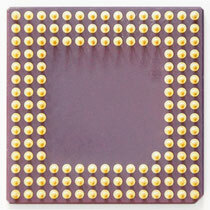 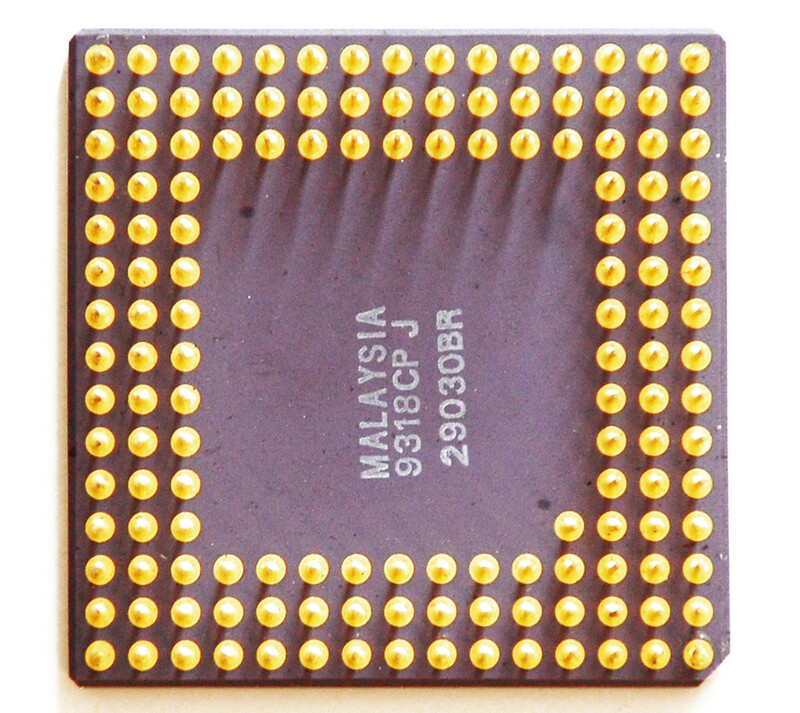 The first 29000 was released in 1988, including a built-in MMU but floating point support was offloaded to the 29027 FPU. 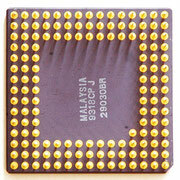 The line was upgraded with the 29030 and 29035, which included an 8 KB or 4 KB of instruction cache, respectively. 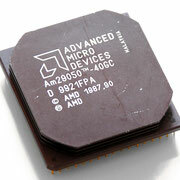 Another update integrated the FPU on-die and added a 4 KB data cache to produce the 29040. 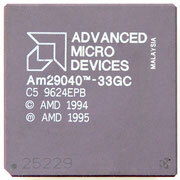 The final general-purpose version was the 29050. The 29050 also has much better floating point performance than previous 29k microprocessors. 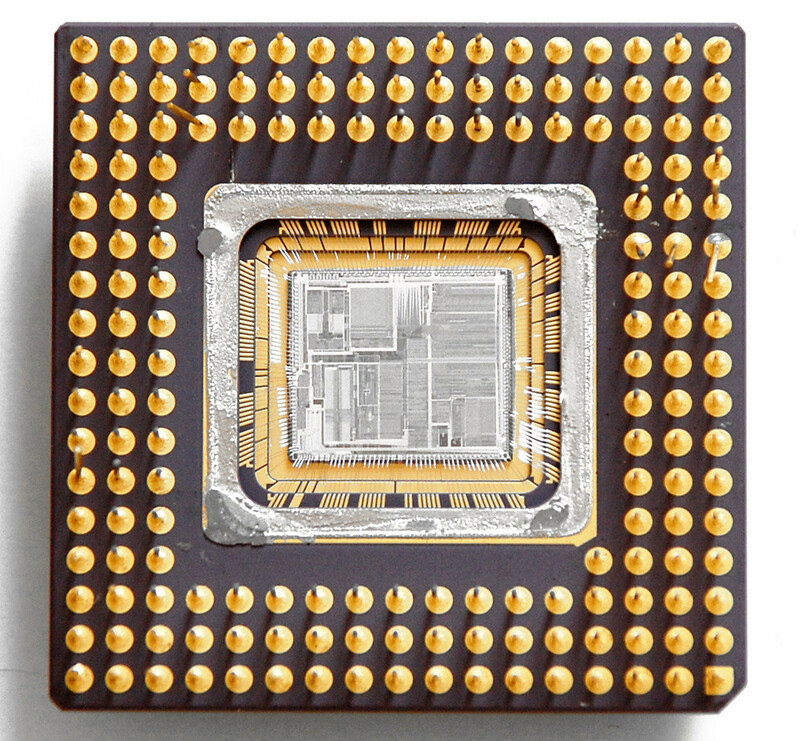 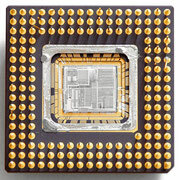 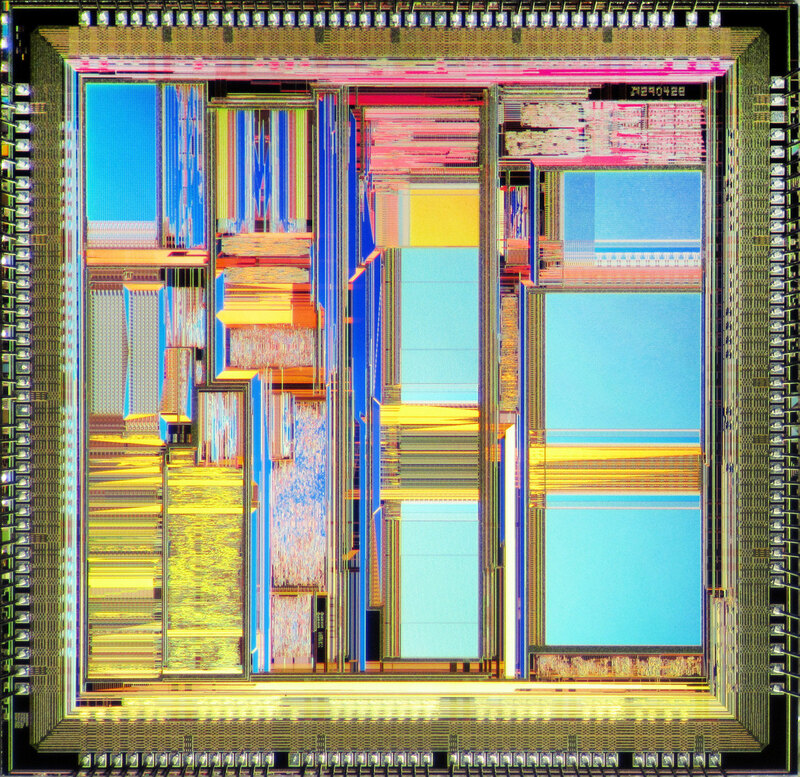 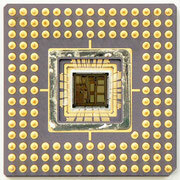 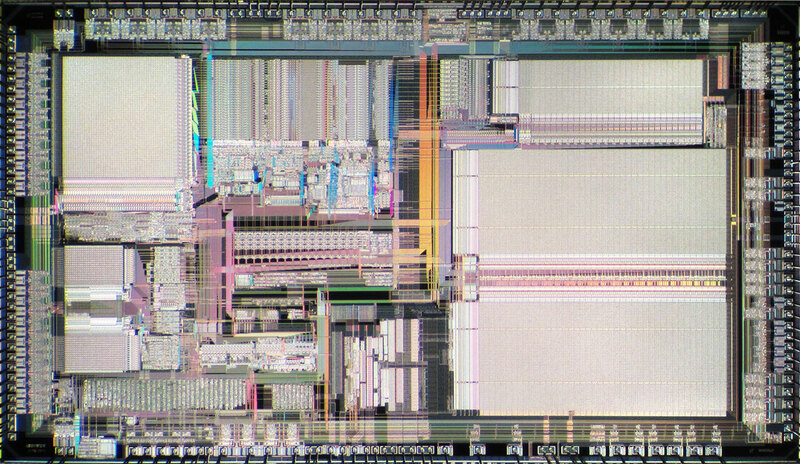 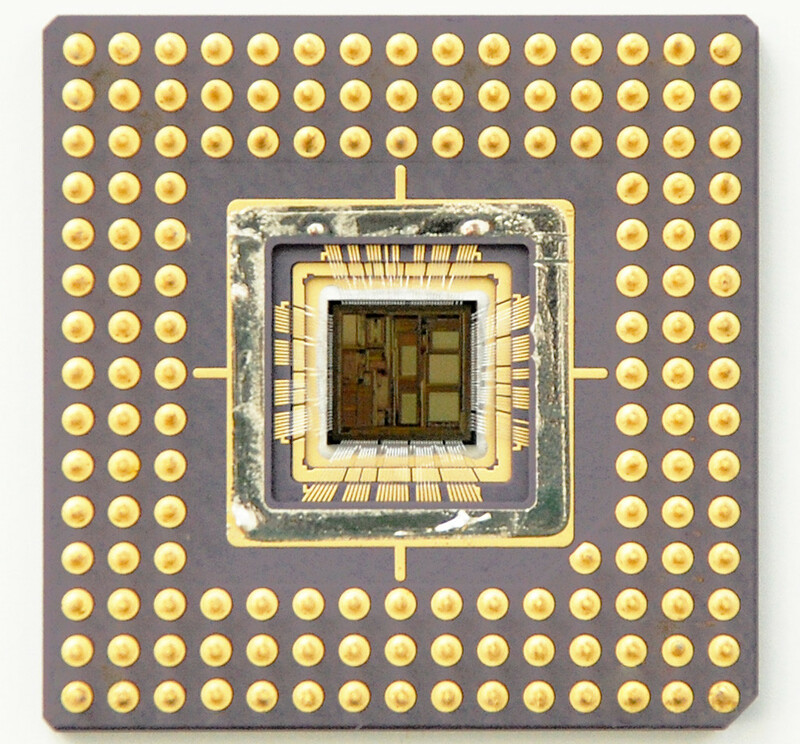 Several portions of the 29050 design were used as the basis for the K5 series of x86-compatible CPUs. 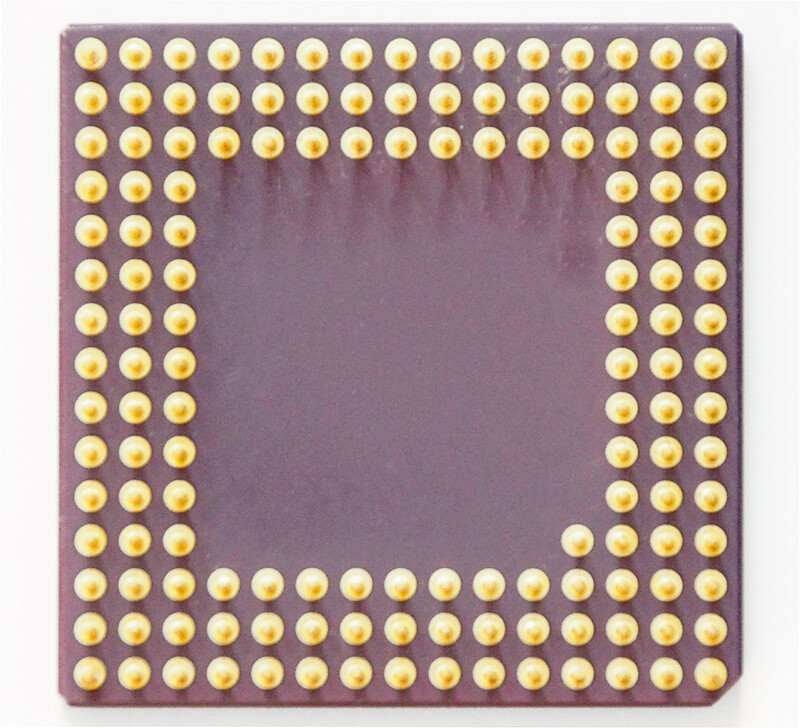 The FPU was used unmodified, while the rest of the core design was used along with complex microcode to translate x86 instructions to 29k-like code on the fly.